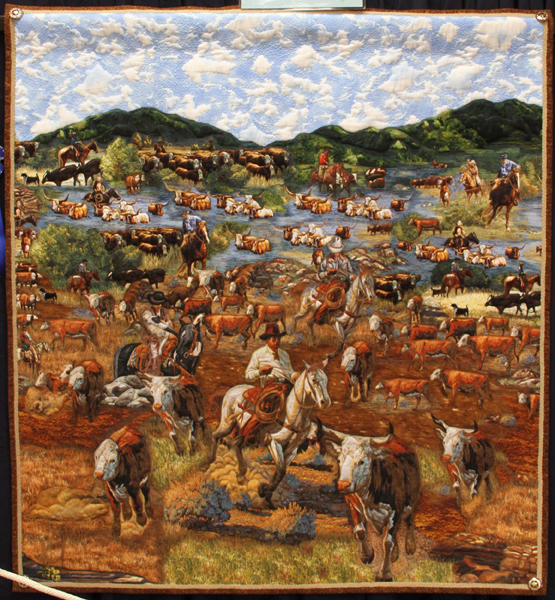 Education | Houston Livestock Show and Rodeo "Go Texan Contests"
The Go Texan Quilt Contest has been held annually since 1985 and is meant to show rodeo-goers part of the area’s Western heritage. 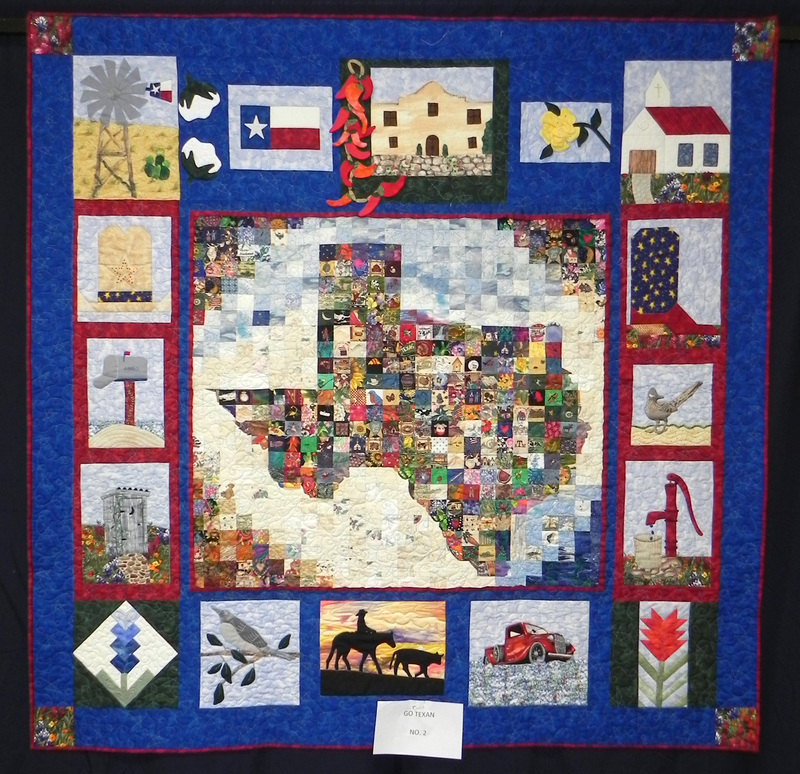 Through the Houston Metro and Area Go Texan Committees, colorful and unique quilts are entered from various parts of the state. 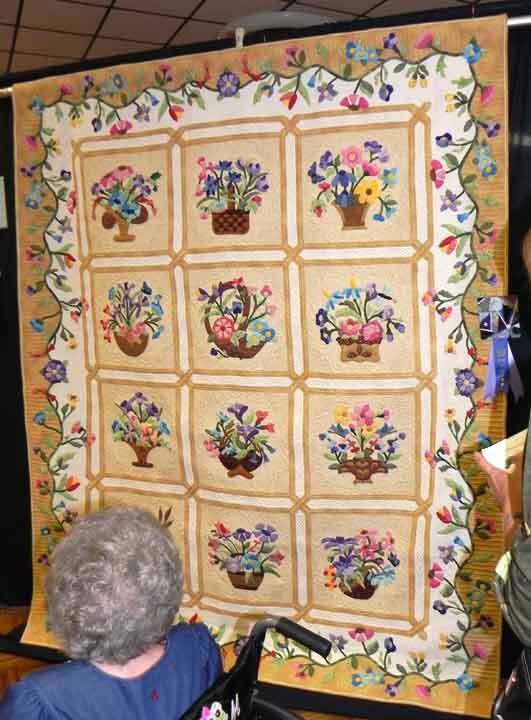 The quilts are displayed and individually judged by a panel of professional experts. Judging is based on overall appearance, workmanship, suitability/color, originality and design. 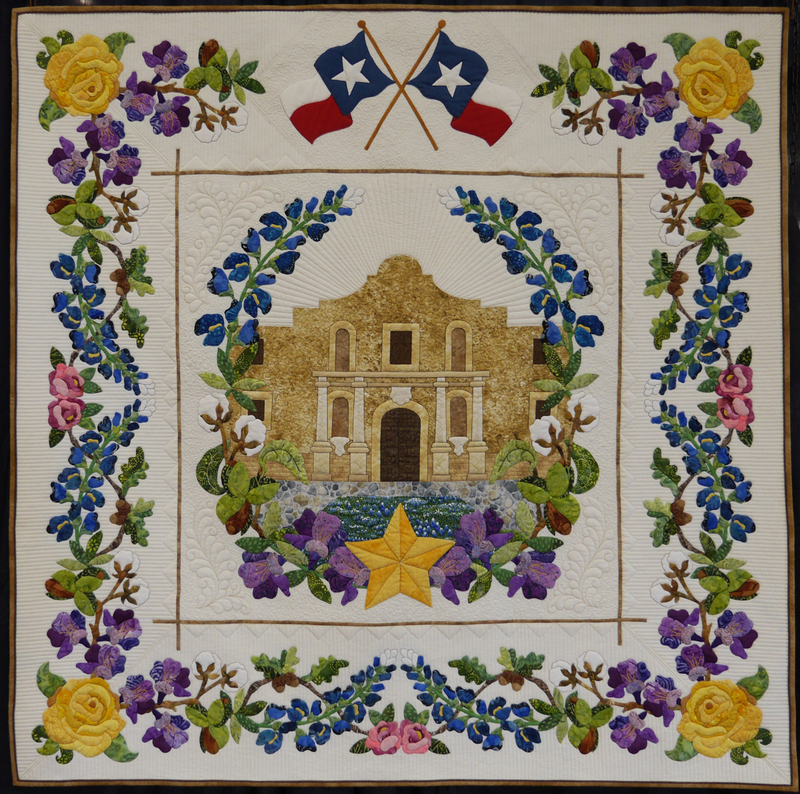 Each quilt entry must be constructed within the geographical boundaries of the Go Texan Committee it represents, within the past two years. 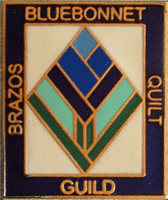 Only one quilt entry per county or subcommittee is allowed. 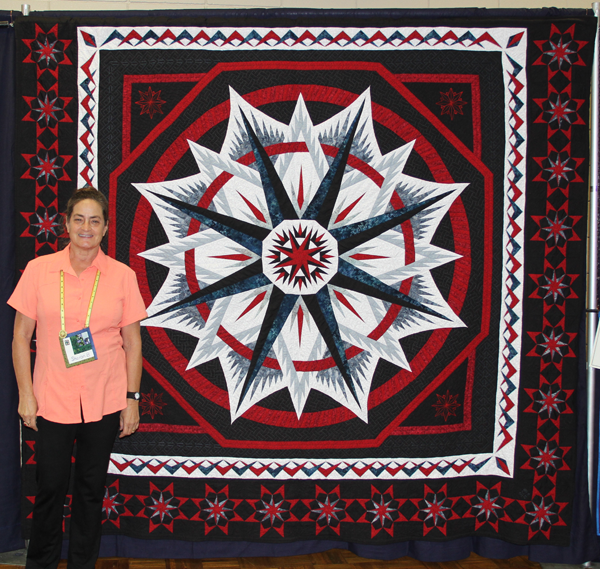 Quilts are submitted mid-January. The best from each area is entered into the contest and put on display early March. 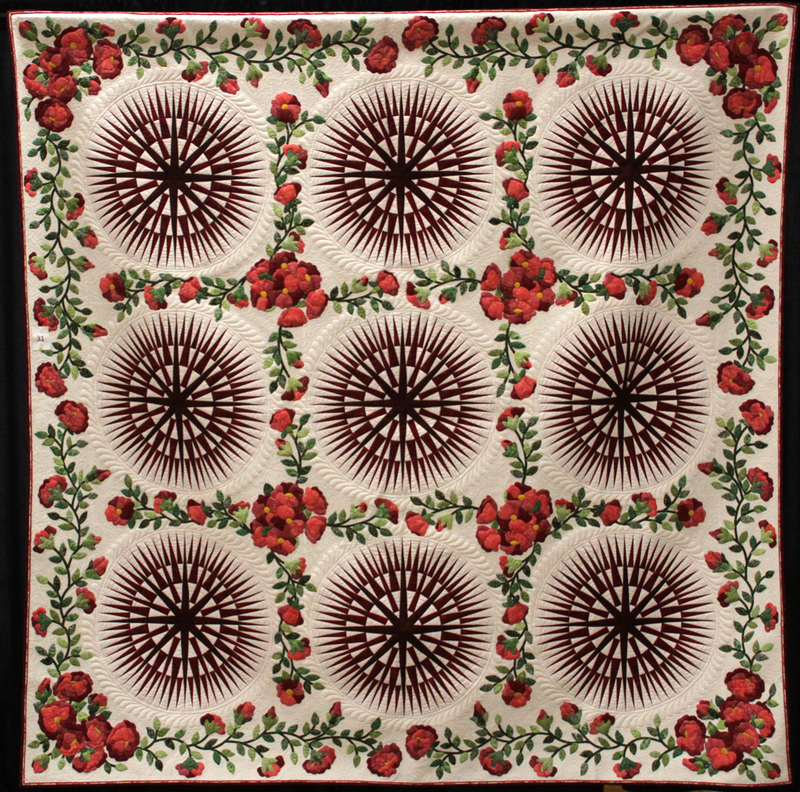 Each quilt is then placed in the division best suited for it based upon its styling and construction. 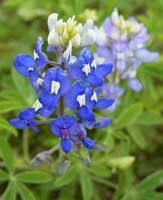 Judges will award blue, red, white, green and Best of Division ribbons, in addition to the coveted Best of Show ribbon! The Houston Livestock Show and Rodeo is a Section 501(c)(3) charity that benefits youth, supports education, and facilitates better agricultural practices through exhibitions and presentation. Since its beginning in 1932, the Show has committed more than $430 million to the youth of Texas. Each year more than 750 scholarships are awarded to Texas students – 79 four-year, $20,000 Area Go Texan scholarships alone! For more information, visit rodeohouston.com and connect with #RODEOHOUSTON online via Facebook, Twitter, Instagram and YouTube for all of the latest news. The 2018 Show took place Saturday, Jan 27. 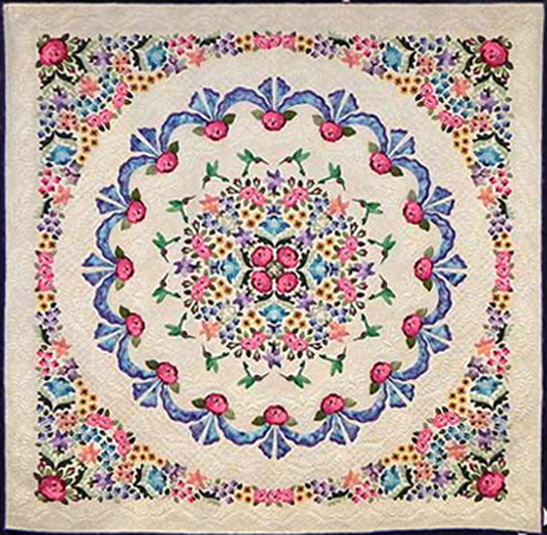 Quilts may be appliquéd, pieced or any combination of quilting techniques. Quilting and piecing of the quilt may be done by machine or hand, and each block must be 2/3 quilted (but no quilting through appliqué design). 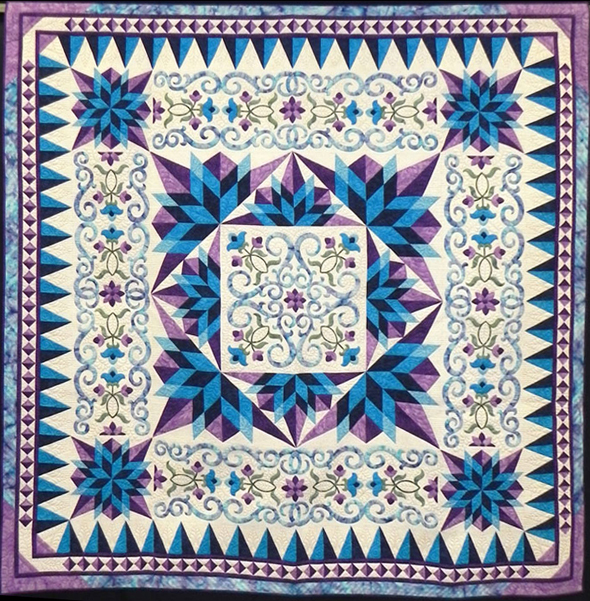 five under HAND QUILTING – appliqué, piece work, pictorial (theme quilt), wall hanging (minimum size is 18” x 18”; maximum size is 60” x 60”) and mixed media which includes any technique not covered in other specific categories, plus Judge's Choice and Best of Show.